Chaya four one! literally means "Hit four one". It comes from the signals used by the operators of the elevator system used to raise and lower people in and out of an underground copper mine. It is 1969 and James Martin, a new mining engineering graduate, sets off for a new job copper mining in Zambia. We follow his first year's experiences as he travels to Africa on the Union Castle line vessel, the Pendennis Castle, then motors up country 2,000 miles, through South Africa and Rhodesia to his new job in Zambia, in the early post colonial era. James meets and works with graduates like himself, new to the job and the country and with old colonial types with knowledge and experience, but sometimes also with deep seated prejudices. He also works with the new generation of Zambian graduates who wrestle with the complexities of multi racial societies. Along the way James meets, courts and marries the love of his life, Katrina, a locally raised girl, who introduces him to some of the local culture of the town of Kitwe and helps him understand not only the black and white divide but also the white and white divide between long time residents and newer contract workers. Available now from Kilihune Books: $17.50 plus shipping and handling. The Great North Road starts at Victoria Falls on the border of Zambia and Zimbabwe and runs generally north east through Zambia to Lusaka and on to the Tanzania border at Tunduma. It is one of the major arteries of commerce for Zambia and of Central Africa. 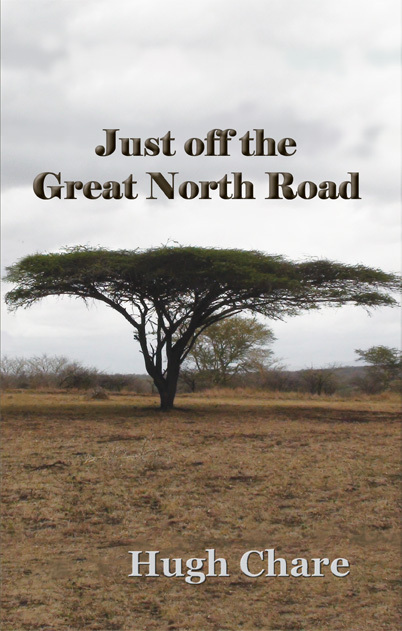 In Just off the Great North Road it is 1972 and James and Katrina Martin take an overseas leave from their jobs in the Zambian Copperbelt town of Kitwe and return to be be given the opportunity to work on a start up open pit copper mining operation in Zambia just off the Great North Road. The job is complicated by border closures between Rhodesia and Zambia, freedom fighter encounters and shortages of everything from parts to basic food. James and Katrina overcome these difficulties and build on the relationship they started in the first book of this series, Chaya four one! Avaliable now from Kilihune Books: $15.00 plus shipping and handling. Asked by her husband, James Martin, how she got her name, Katrina Martin relates the story of Jan Englebrecht, her ancestor who trekked into the interior of Bechuananland (now Botswana) in 1852. She does this with the aid of his journal that has been passed down through the family. 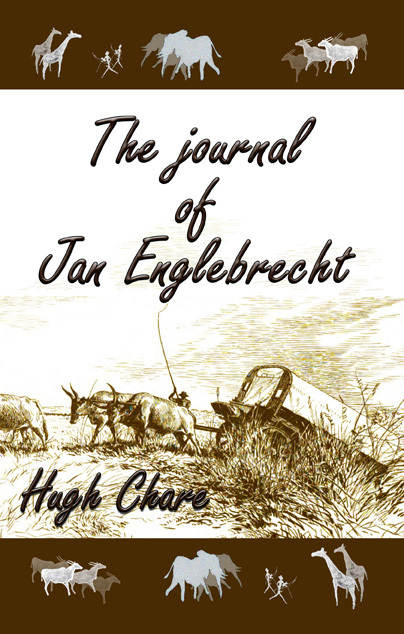 Jan leaves the Cape Colony of South Africa in 1852 to find his own way in life. He treks north across the Orange River north into the Great Thirst, as the Kalahari Desert was known in those days. His expedition falls apart and he is forced to wander in the Okavango Delta until he is rescued and befriended by the people who were then known as the Bushmen. He stays with them learning their language and their way of life. He is drawn to a young girl, Motshaba, the daughter of one of their leaders, they marry and have two children, Katrina and Koos. Jan teaches Katrina all he has learned about tracking and hunting and how to use the firearms that he has. Katrina becomes expert in their use, despite her young years. Jan and Motshaba spend their time wandering in the northern Kalahari, their lives and wanderings dictated by the wet and dry seasons and would be idyllic except for encounters with slavers from Portuguese West Africa. The final encounter with these same slavers brings tragedy to the band and it is Katrina's heroic defense of the family that earns her a place in history. Jan's final entry in his journal is a charge to his descendants to name a daughter Katrina and that she be conceived within the sound of lions and have the heart of a lion. This book was originally planned with the title Katrina. Available now from Kilihune Books: $15.00 plus shipping and handling. Kuuipo is Michael F. Nason's first novella and is an exciting and suspenseful drama, featuring boat captain Rick Blaine. Running for his life, Rick must chase down the real culprit before he takes the fall for a series of brutal homicides. Unfortunately for Rick, the evidence places him in the sights of FBI Special Agent and profiler, Malia Parks. Set on the island of Maui, Kuuipo takes the reader on a journey of adventure and suspense as Rick negotiates the stormy waters around the Valley Isle and the murky world of Hawaii's first serial killer. Available now: $12.95 plus shipping and handling. 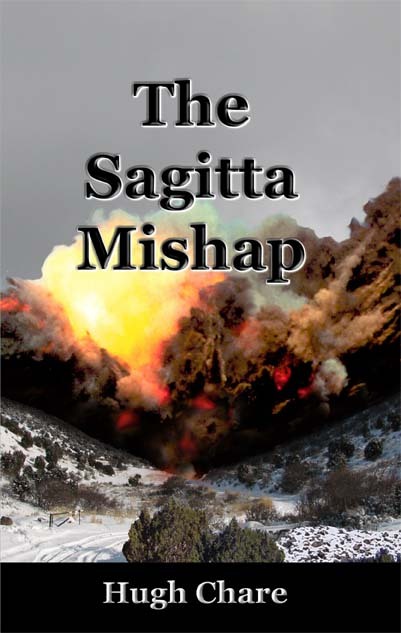 A maximum credible event leads to a fatal explosion in a Utah rocket factory and kills thirteen people and destroys a building. James Martin is recruited to take over the operation where the accident occurred to replace the incumbent manager and to find out what happened in the incident. At the same time an investigative reporter is also trying to discover what happened to see if there is a story. The two run parallel investigations, one inside the company and the other outside the company. For Bernard Rasmussen, the reporter, he is trying to get the story of his career. His approaches sometimes verge on the unethical, but the story is the thing. He is convinced that there is a story somewhere in this incident and will take any and all avenues to pursue it. For James Martin it is a new experience as he and his wife, Katrina, move to Utah and he has to dig deep into his engineering training and experience to ask the right questions to get at the technical answer to the incident and then his life experiences to discover the real reason behind the incident. He is disturbed when he discovers the true nature of the Sagitta project, a ballistic missile program with an unusual deployment mode. He uncovers an espionage plot that involves the Israeli Mossad and an unknown accomplice in the Pentagon, making it difficult to know who to trust. This book was originally planned with the title Maximum Credible Event. James and Katrina Martin embark on a vacation to Botswana with their nieces and nephews in late 2002. Because it is now the time of the rains the height of the tourist season is over and they are looking forward to a relaxing trip with their family. Unfortunately for them warring factions in the Congo have designs which will impact their trip and they find themselves in the middle of yet another conflict in the Congo. 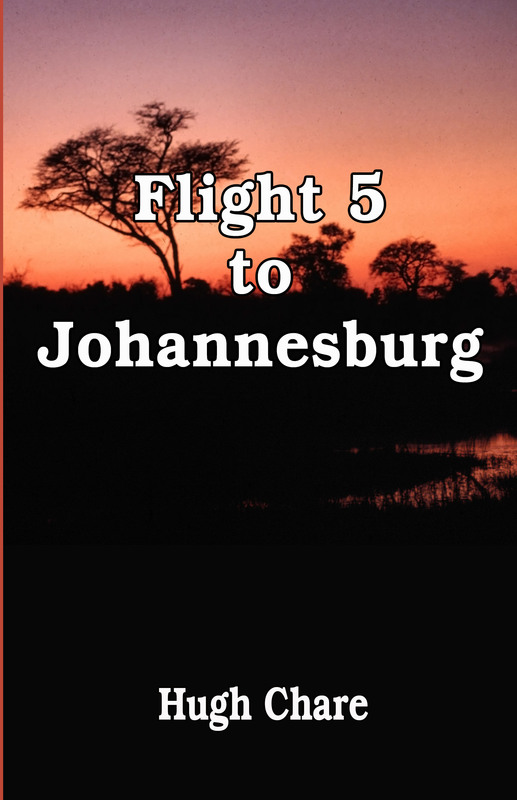 Their flight from London to Johannesburg strays into what has become a war zone and catastrophe follows. Together with their nieces and nephews the Martins must survive the incident and make their way to safety before the Congolese rebels find them. It is a race against time for all the parties involved, hampered by tropical storms and the poor travelling conditions in the southern Congo and northeastern Angola. Search and rescue efforts are made difficult by the sheer isolation of the area and by the ever present remnants of other civil wars that have plagued Central Africa. It is late 1901, well into the 2nd Anglo-Boer War, and the British Army is pursuing the Boer commandos that have invaded the Cape Colony of South Africa. Despite some successes they cannot bring the commando of the Boer general Jan Smuts to bay and have decided to try a different tack. George Wheelwright, a captain the the 16th Lancers is on patrol in the western part of the Cape Colony when he is summoned to the headquarters of General French and asked by he and Colonel Haig to undertake an espionage mission. Wheelwright's mission is to find and join the Smuts commando and then report back as to intentions and likely destinations of the commando so that the British may lay an ambush and thus end one chapter in the war that is now dragging into its third year and costing the British tax payers dearly. George wrestles with the concept of spying and agrees to take the mission. He enlists the aid of his cousin Koos Englebrecht and together they set off in pursuit of the commando. For George and Koos the risks are great. Either may be identified as a traitor by both Britain and Boer and the penalties would be severe. They must live by their wits and not give themselves away at any time, even if that means for George having to apparently turn on his own army. Available now from Kilihune Books: $15:00 plus shipping and handling. It is 1902 and Federica Beretta awaits the return of George Wheelwright from his service as a British officer in the Anglo-Boer War in South Africa. Federica has a strong interest in the new phenomenon, the motor car, and is looking for opportunities to build a business related to the motor car. Together Federica and George research the fledgling industry and embark upon an enterprise to design and build cars. They form the Sirius Car Company and exhibit at the Crystal Palace Motor Car Show in 1904. They face opposition from the male establishment, particularly when Federica takes the lead in the design of a new car. 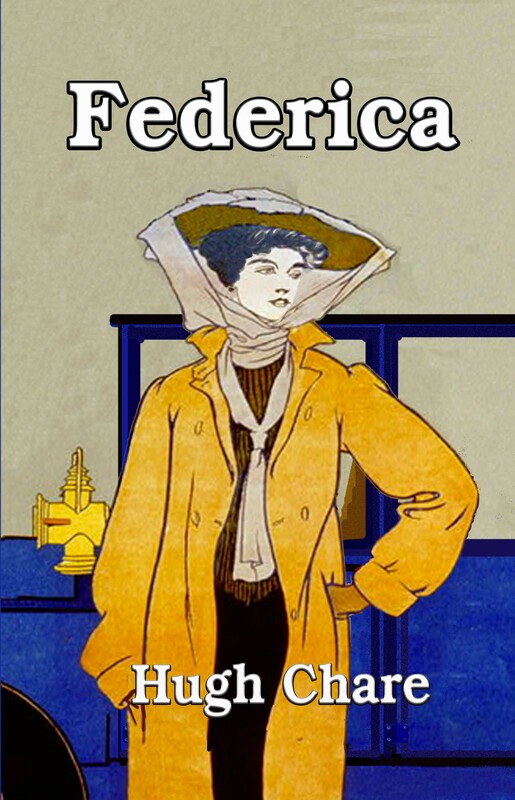 The idea that a mere woman could do such a think is unthinkable in Edwardian England. However, Federica, assisted by George’s sister Anastasia, manages the design and construction of their line of cars and leads the company to success, with George as the public face of the company. When in 1971 James and Katrina Martin take a short local leave trip from Zambia across the Zambezi into Botswana, they have no idea that they will run into a distant relative of Katrina’s or that they will cross paths several times with ivory poachers. James and Katrina go on an expedition into the Kalahari Desert to retrieve an item buried there by one of Katrina’s ancestors. On their return they meet with Piet Englebrecht, the distant cousin of Katrina’s who runs a safari business in northern Botswana, near the border with what was then South West Africa. They are invited by Piet to join him and his guests for a week in the bush. While they are there they come across the site of an elephant killing and are involved in the subsequent apprehension of one of the poachers. The poachers come from South Africa and are after ivory for a buyer who is using what they all assume to be a fictitious name. When an abandoned Land Rover leads to the discovery of two headless corpses buried in the Botswana mopane forest, Assistant Superintendent Marieke Englebrecht is presented with the challenge of identifying them, then determining who killed them and why. Her investigations take her to the bush in the northern parts of Botswana, England and Italy. The murders were cleverly done and it takes all her skills as an investigator to uncover the truth and then all her wiles to bring the suspects in for questioning. Assistant Superintendent Englebrecht of the Botswana Police investigates a series of deaths and discovers that they all relate to events that happened twenty years earlier. She also works with the South African Police who have had a similar spate of unsolved deaths. The murders were cleverly done and it at first blush there seems to be no common factor among the victims. Other books planned by Hugh Chare include; Carbon Copy.